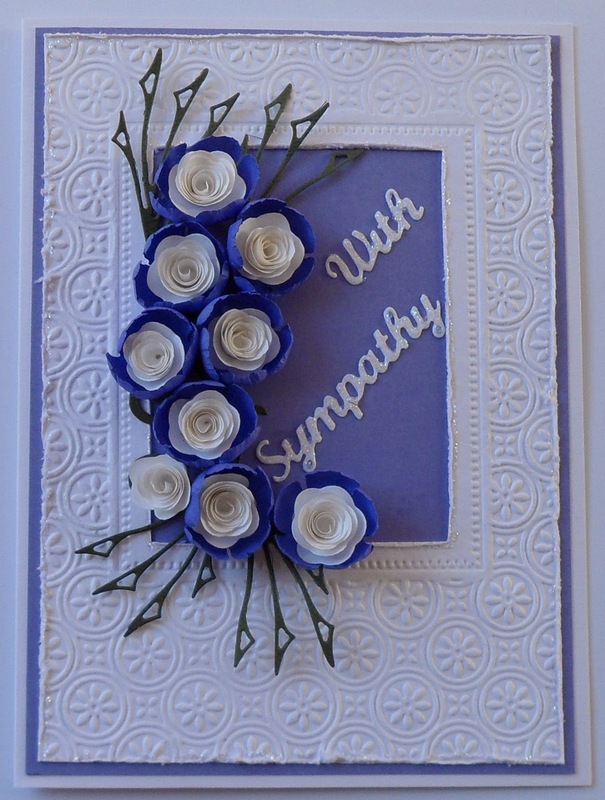 We, the Design Team at FATCATS Card Corner are making Sympathy cards using the Elizabeth Craft Design Word dies . 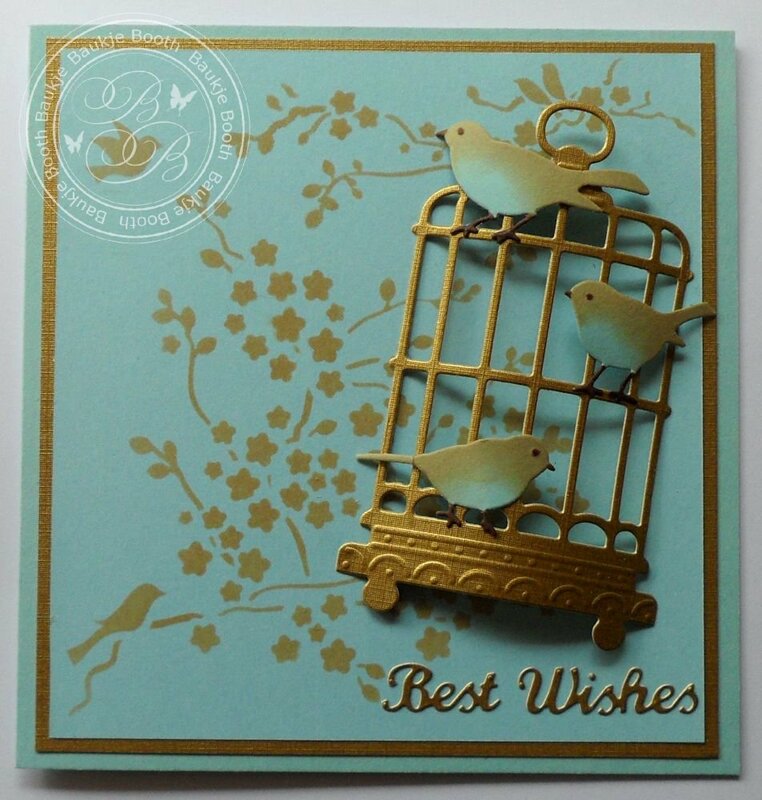 Here are the three that I have made, and the list of other dies I have used on them. Embossing Folder is the Couture Creations Cabaret 5x7 inch a favorite of mine. Kaaren from FatCats Card Corner sent me this lovely Daisy bunch die by Die-namites and I just love it. Here are two cards I have made using it. 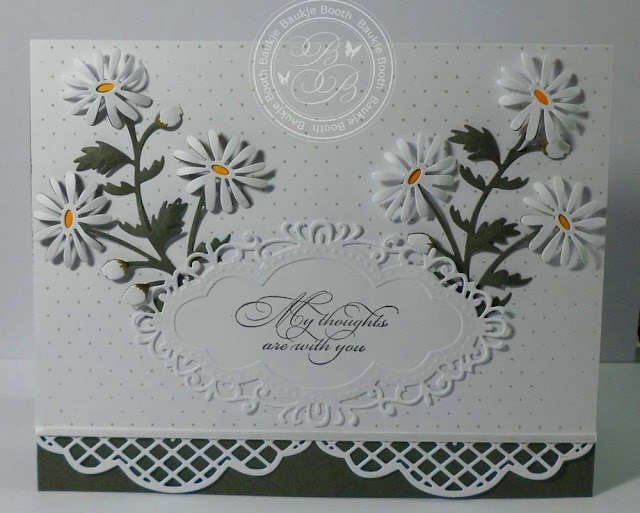 I cut out the die with green thin card first then cut another lot out of white, then using my scissors I cut the daisy's from the white gave them a bit of shaping and glued them over the top of the green die cuts which I had also given a bit of shaping. The little white buds looked a bit odd just stuck on so I took a green copic marker and coloured the parts where they join the stem. 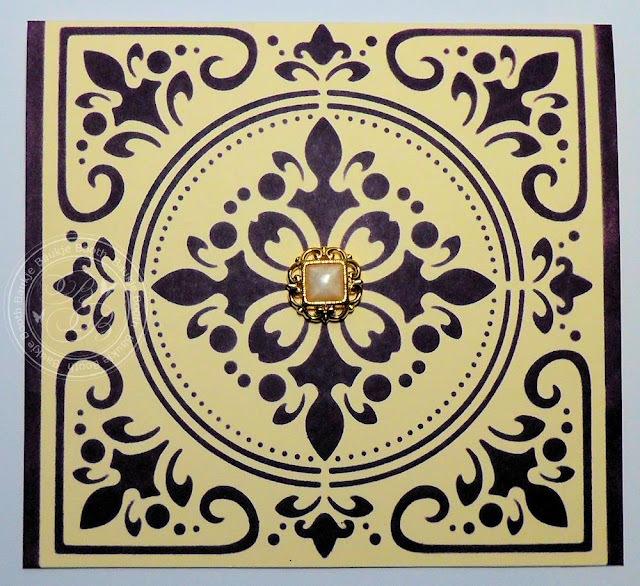 I cut the corners from the smaller die of the die set. 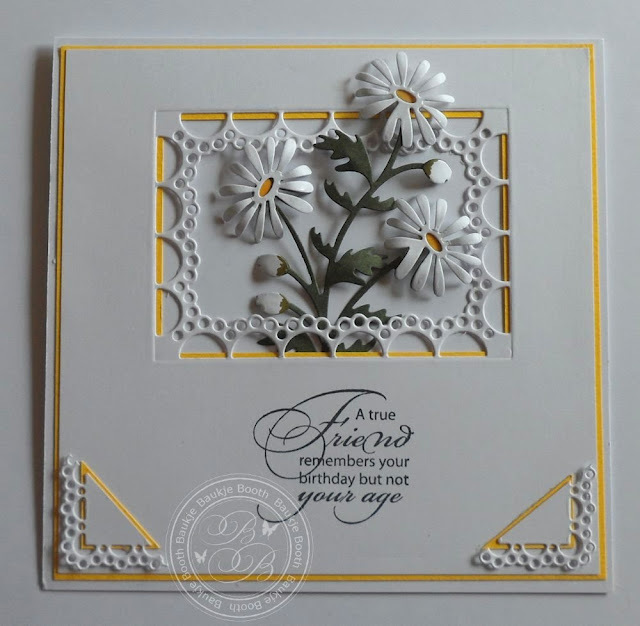 The other die I have used for this card is the Marianne Creatable Vintage Frame LR0272. I cut the centre piece in half for the border. I've been having some fun creating my card backgrounds using templates, stamps, and stencils and really loving the effect. For this one I used the Crafters Workshop Cherry Blossom 6 x 6 Template and some gold ink. 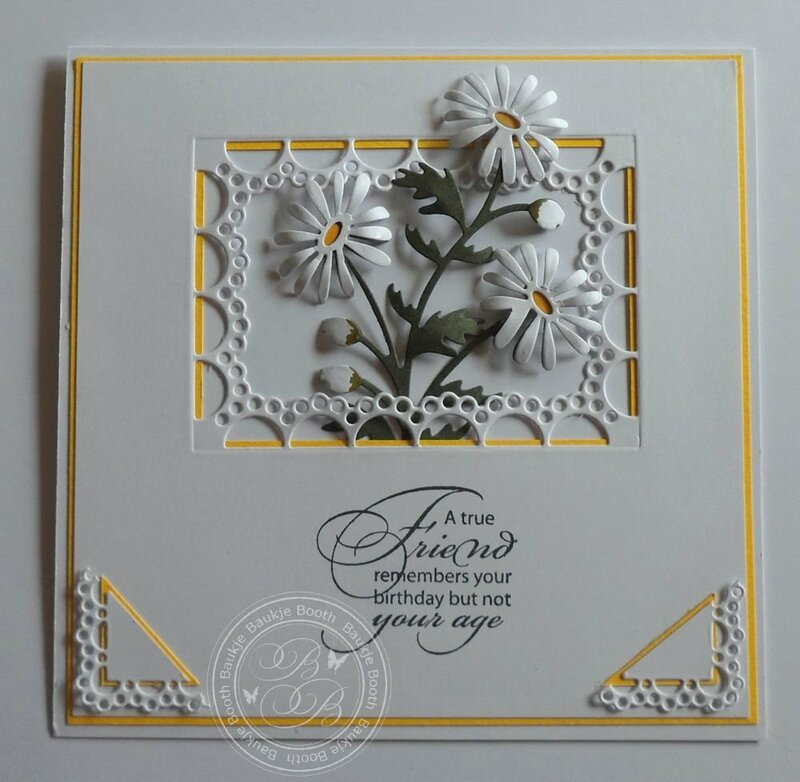 For the next one I used two different stamps to create the background the dress form is from the Ginak Design Springtime Silhouettes stamp set and the xoxo is from Whimsy Stamps Mini Love Tickets. 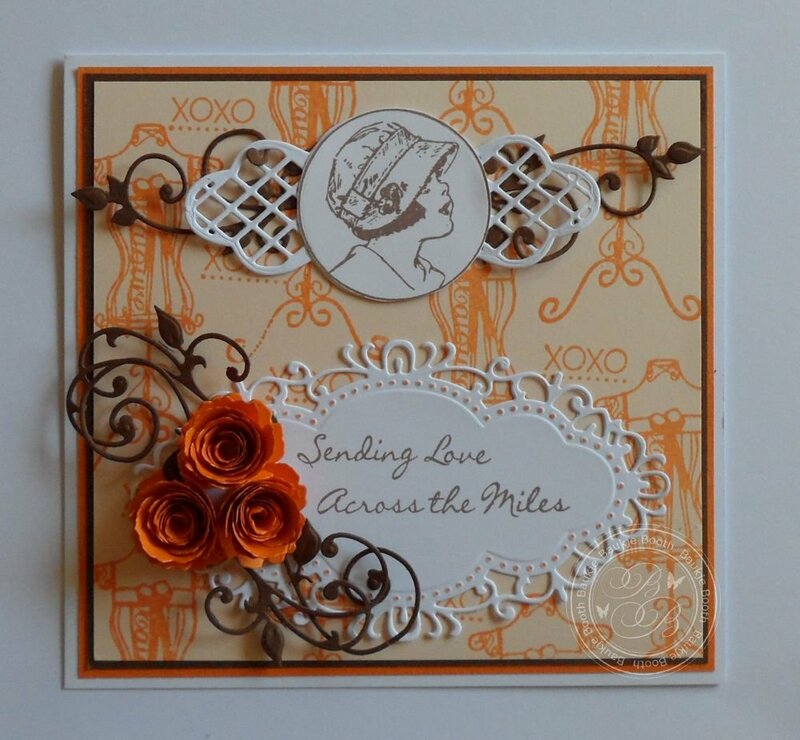 And the stamp I used is also from Marianne Design and is the Sweethearts set of 2 Nostalgic cling stamp set. 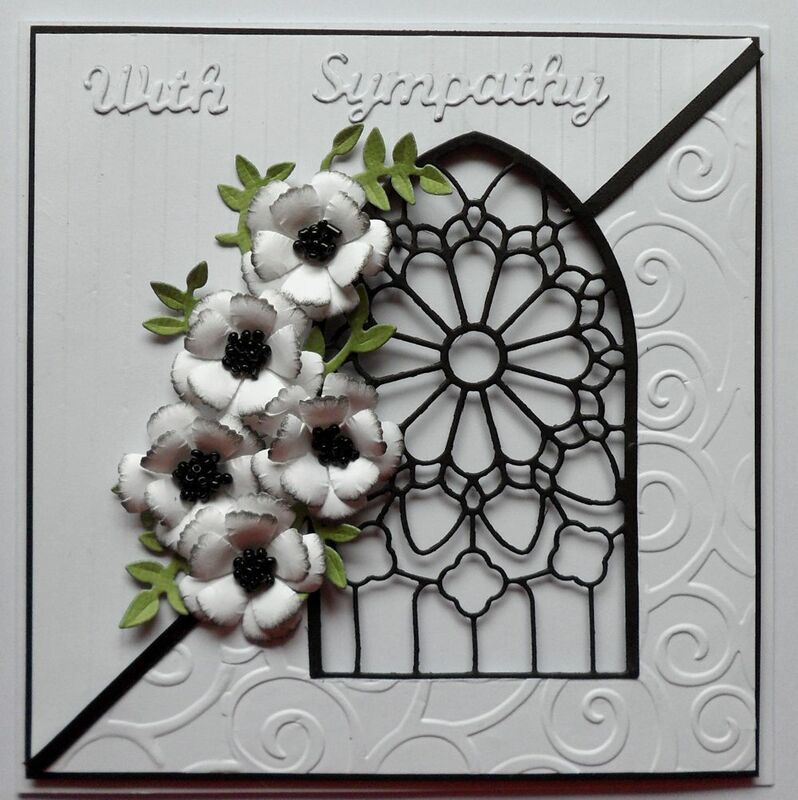 This one that I made for one of my Brothers in law was also a Crafters Workshop 6 x 6 Template. 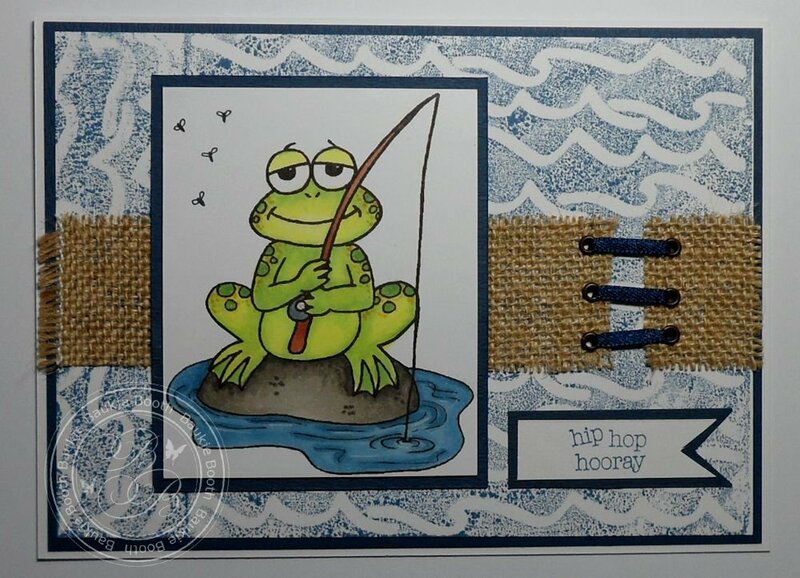 The frog was a colouring page I downloaded from the Internet and coloured with copics. 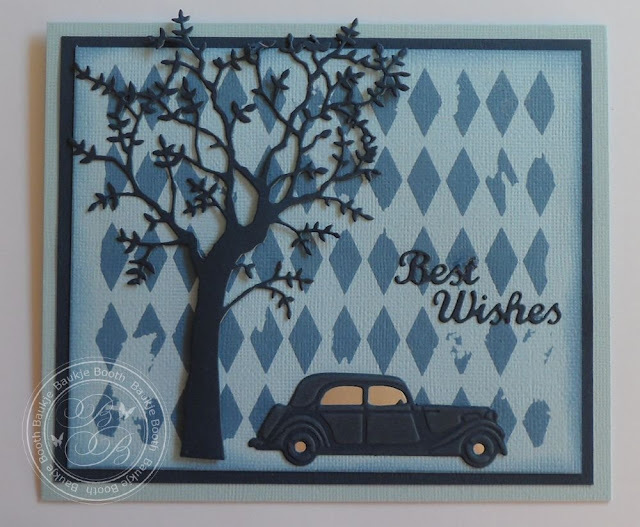 My background is a Fiskars Texture Plate that I simply inked up with a Distress ink pad and pressed to the card stock, (just like stamping). A few crookedly placed eyelets on a bit of hessian with ribbon threaded through. 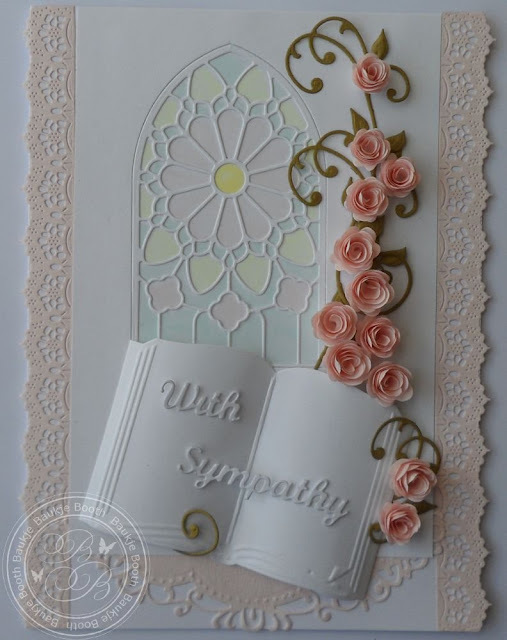 This last one is an EZ Cut embossing plate which I used as a stencil with Seedless preserves Distress ink and a sponge dauber. The center is a button with the shank cut of.